Oklahoma City, Okla. — Highlights of the Oklahoma Transportation Commission’s meeting Monday, Sept. 10, included approval of the Oklahoma Department of Transportation’s (ODOT) annually rebalanced Eight-Year Construction Work Plan and its Asset Preservation Plan; adoption of the updated County Improvements for Roads and Bridges plan and introduction of the newest member of the Commission. Also announced were the unveiling of two new public charging stations for electric vehicles, the department’s support of the #justdriveok teen anti-texting campaign and contracts awarded for projects including bridge rehabilitations on both I-44 in Oklahoma City and on I-35 near Paoli. 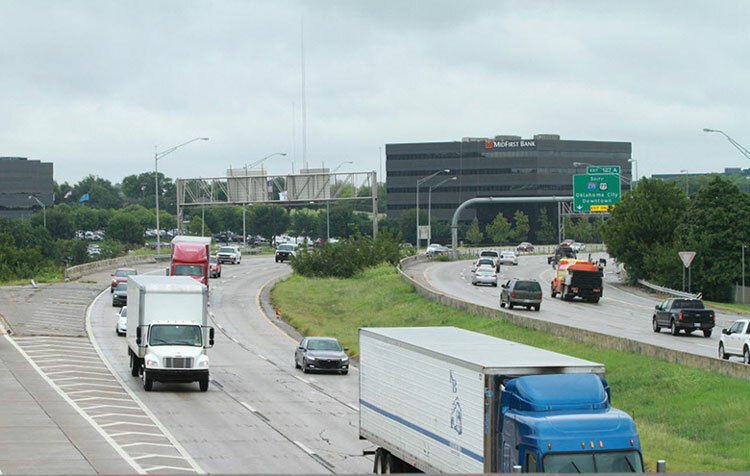 The commission voted unanimously to approve ODOT’s Eight-Year Construction Work Plan for Federal Fiscal Years 2019-2026, which contains nearly $6.5 billion in planned work on state bridges and highways during the next eight years. The plan prioritizes critically needed highway projects and is updated each year based on projections of available state and federal funding. This year’s plan includes 1,386 projects, construction of more than 720 miles of shoulders or other improvements to two-lane highways and 686 highway bridge replacements or major rehabilitations. “I don’t think we would be as far along on structurally deficient bridges had it not been for an Eight-Year Construction Work Plan to keep us focused,” said ODOT Executive Director and Transportation Secretary Mike Patterson.